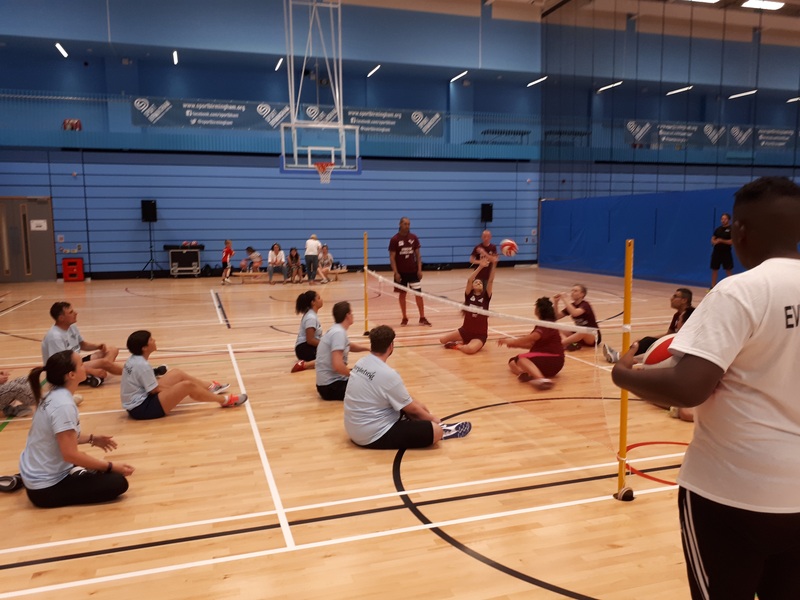 We deliver Sitting Volleyball coaching in schools, highlighting it as an exciting but different team sport which is also a great way to promote inclusivity. The messages can be delivered practically, as a presentation or as a combination of the two. 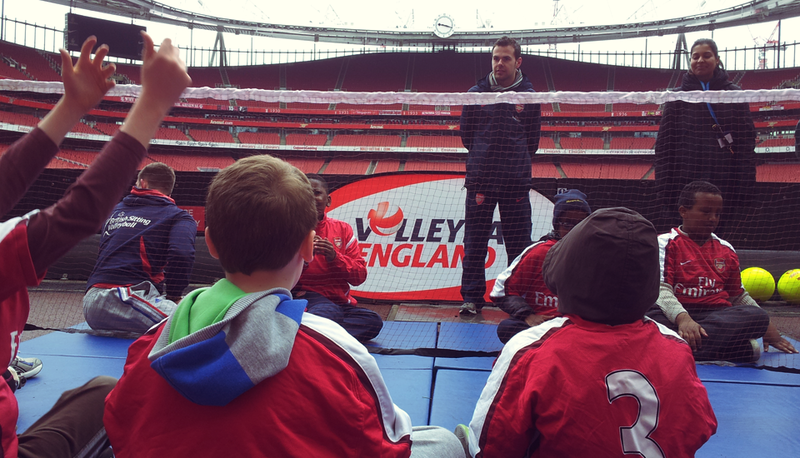 We aim to be as inclusive as possible and so will look to work with any young people, regardless of any disability. 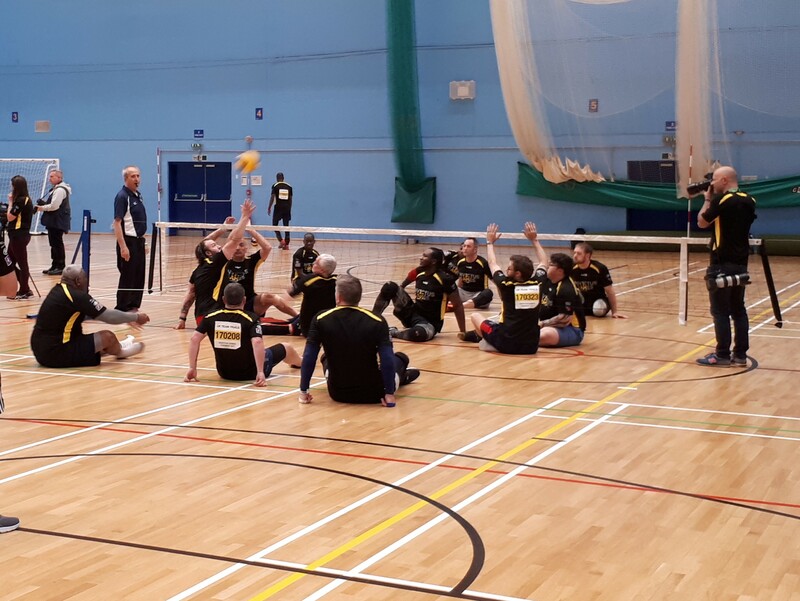 We offer a range of training opportunities for teachers and other people interested in delivering sitting volleyball sessions. 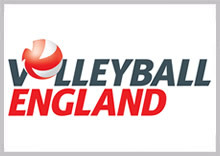 This can be arranged as a formal Volleyball England Workshop with associated certification or as a bespoke session based on the needs of participants. 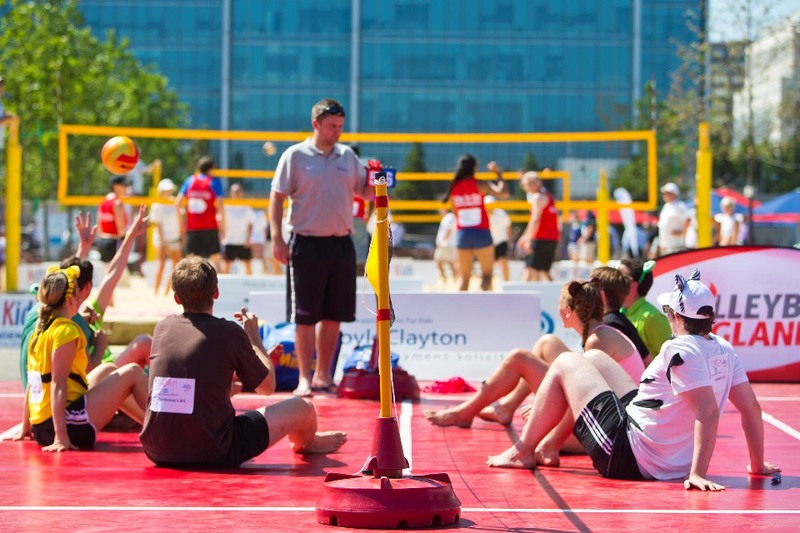 As well as covering sitting volleyball activities, it can also cover more generic leadership skill such as organising and running a competition, which may be useful particularly for groups of young leaders. 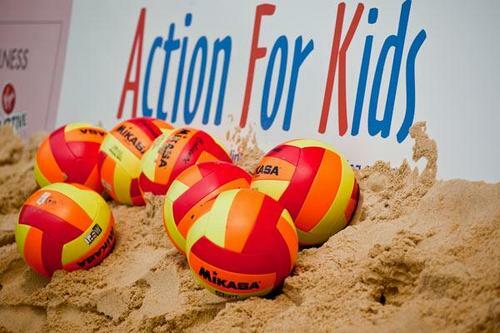 We can deliver, or support the delivery of, Sitting Volleyball competitions and events, either at school games levels, with clubs and community groups, or with corporate groups. This can either be delivery on the day or also with the organisation, planning and co-ordination of the competition in the lead up to the event. 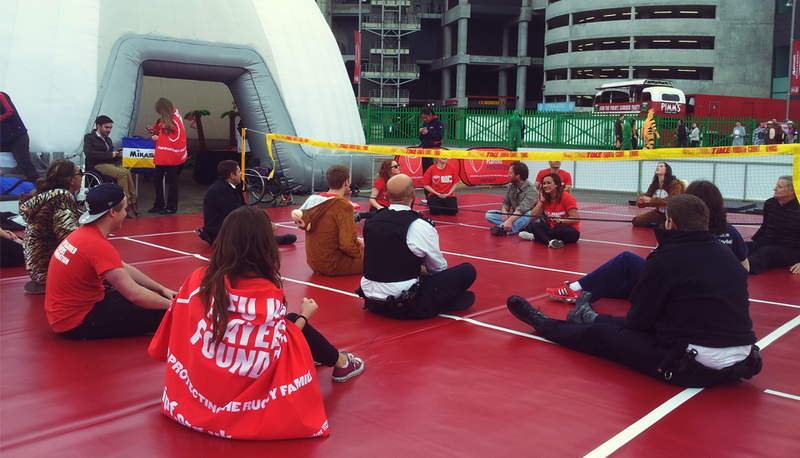 We use Sitting Volleyball as a fun but different team building activity. Very few, if any, employees have experience of playing the sport so it’s a great leveller for everyone to play together and enjoy themselves. Playing can also allow people to consider disability and inclusion in a new way. 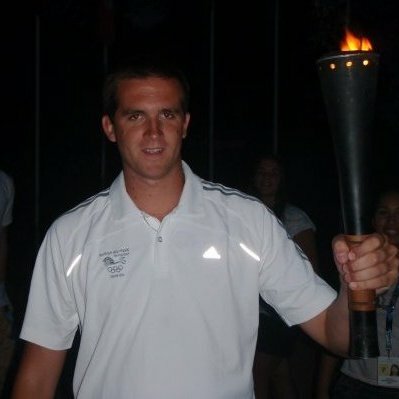 The sessions can either be delivered with coaching and team building challenges or be more competition focussed. 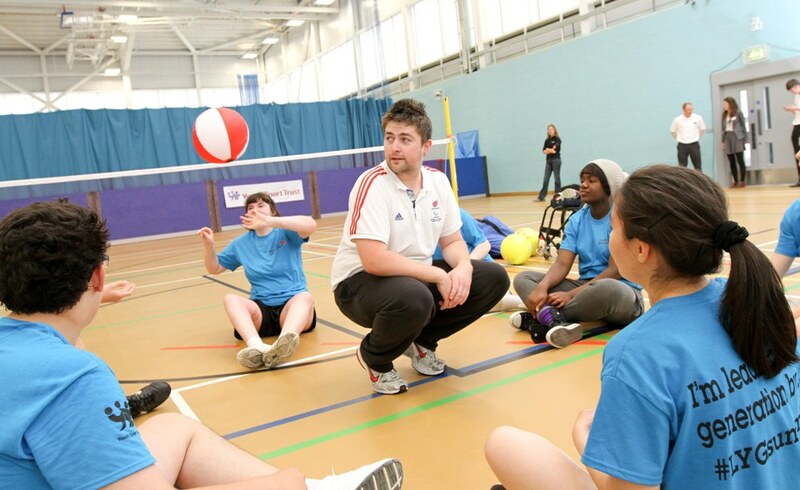 We can also arrange for a GB Sitting Volleyball player to attend your event.